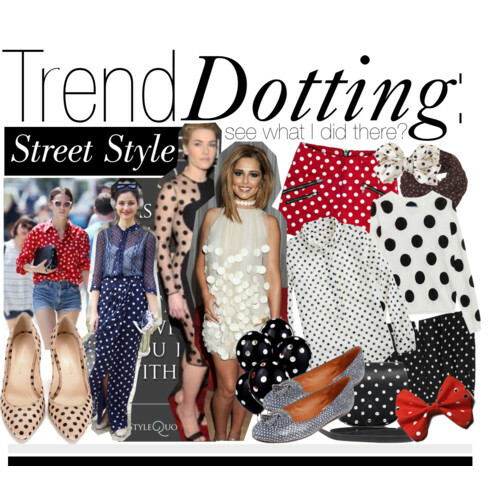 So Recently, i've seen more and more polka dots appearing on the high street and on the runway. Even though it's not your typical winter trend, i think it may be leading into the spring trends. 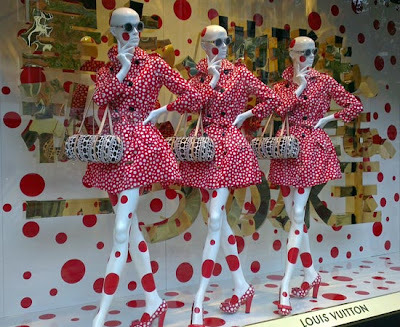 I recently did an essay for university about window displays in London, and whilst doing my primary research in October, this was Selfridges window display, which represented a collaboration with Louis Vuitton and the iconic artist Yayoi Kusama. 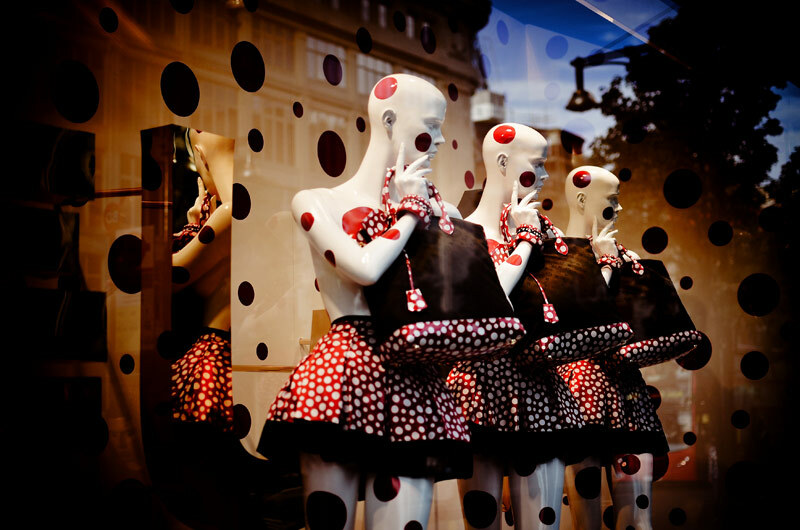 These window displays were very eye catching and caught a lot of the publics' attention as they were walking past. One of the first things that came to my mind when i saw this window display was Minnie Mouse. Even though Minnie Mouse is seen as a child hood thing, it is obviously having a big influence on fashion at the moment. 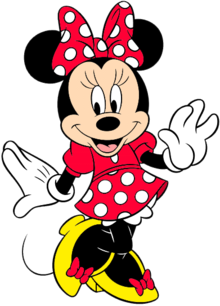 Many celebrities have been seen recently wearing polka dots, mainly in black and white. As we know, in the 21st Century, celebrities have a massive influence on what the current trends are and what people want to be wearing. 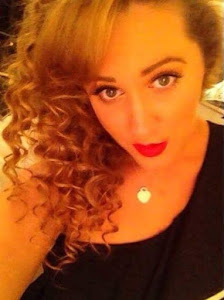 Blouses, Shorts, Jumpers, Shoes, Hair Ribbons & Bows, Rings and Bags. Dresses, Satchels, Room Decor, Nails and Eyelashes. 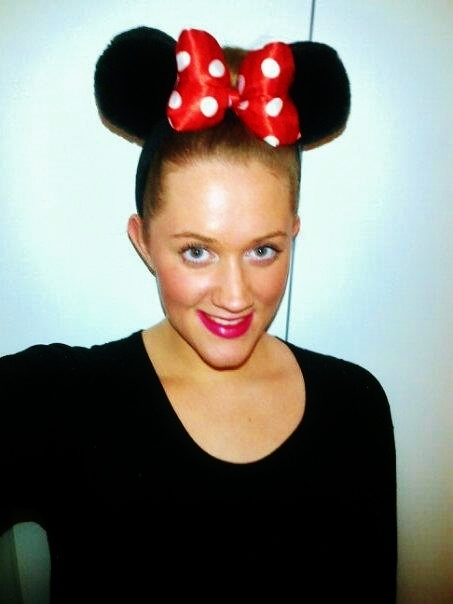 So after all this polka dot craze, i decided to go to Harrods and join in. I went with my mum, as she came down to visit me in London for Christmas. 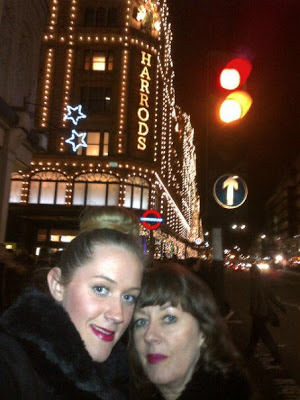 Me & Mum outside Harrods, London.